In this special feature, History Press author and long-time turf writer Hank Wesch reflects on the coming season at Del Mar Racetrack and his 2011 book Del Mar: Where the Turf Meets the Surf. 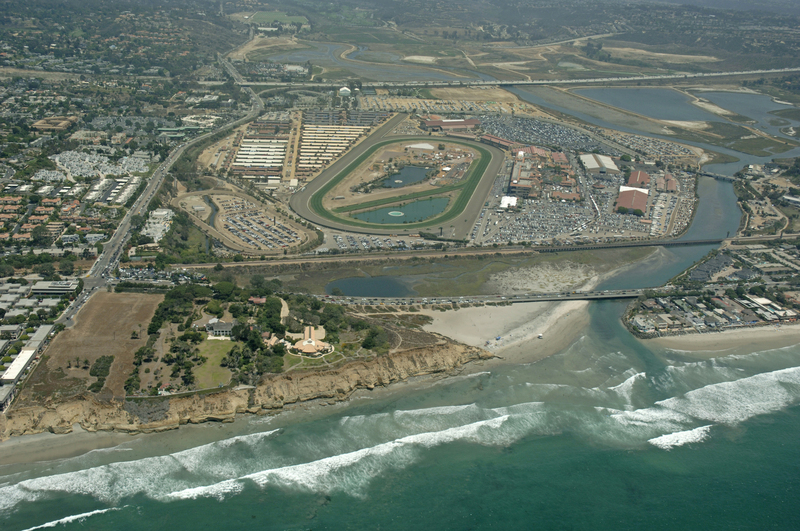 The 2012 racing season for Del Mar, July 18-September 5, will mark the 75th anniversary for the track. Not the 75th racing season. The years 1942-44 were lost to the war when the facility was used initially for training by the Marines and then for manufacturing parts for B-17 bombers. 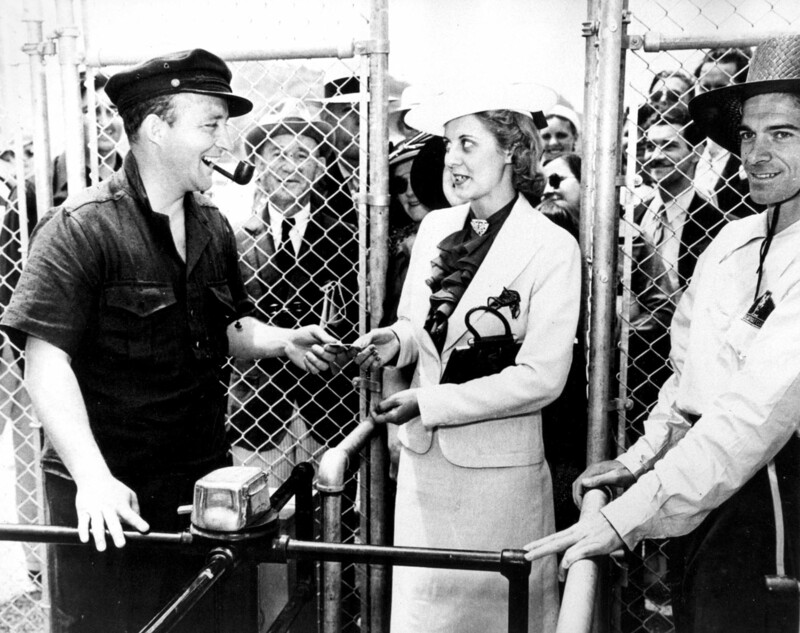 But it will be 75 years since July 3, 1937, when Bing Crosby was at the gates to greet the first in line from a crowd of around 15,000 for the opener of a 22-day inaugural season. During the course of the 2012 season there will be ample time, and abundant reason, for longtime Del Mar patrons to reflect back on personal experiences there. And newcomers to cultivate an appreciation for what came before while enjoying the present. 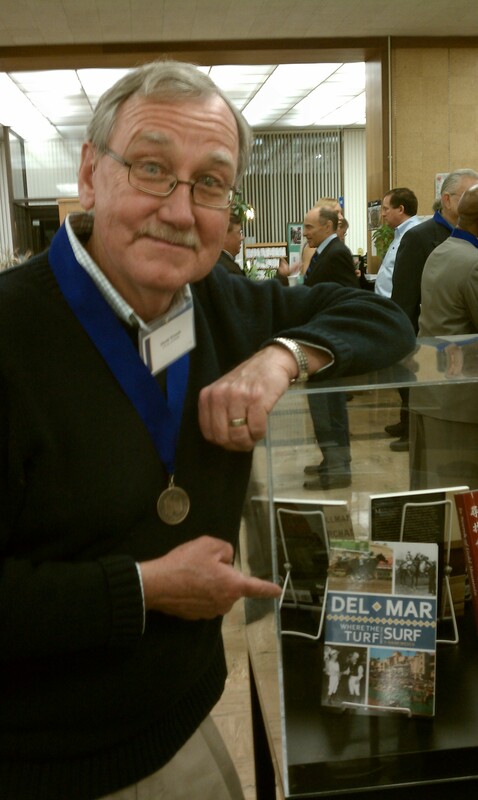 Which is what I did a year ago while authoring “Del Mar, Where The Turf Meets The Surf,” for History Press. My first view of the Del Mar racetrack came in June of 1969. Three days after graduation from Michigan State University, I left my home state behind for San Diego, to be met at the airport by longtime friend Steve Scholfield. Steve had departed Michigan a year early, secured employment as the one-man sports staff for the Oceanside Blade-Tribune, 30-some miles north of San Diego. He had convinced his newspaper’s management to expand to a two-man staff, and I was hired sight-unseen. On the trip north from the airport, Steve purposefully left the freeway, saying “You’ll want to see this,” and drove up the coast highway for a few miles. I concentrated on the Pacific Ocean scene to our left, until he said, “Look to your right,” and there it was. Del Mar. Steve knew of the horse player roots in my family tree and therefore in my blood. He figured I’d be stirred by the sight. He was right. That adjacent trifecta — track, beach, ocean — cast its spell and I somehow had the feeling, or maybe it was just a hope, that it was going to be significant in my life. I didn’t get to cover any racing at Del Mar that summer of ’69. My responsibilities were in other areas. But I went there as a racing fan when I could. Same for two years in the army, two newspaper stops after discharge and my first 11 years as a sports writer for the San Diego Union. Then, in 1985, circumstances led to my being offered the opportunity to become the turf writer for the Union. I jumped at the chance and, for the next 25 years, covered every Del Mar race meeting, in a primary or secondary capacity, for the paper. It’s constructed in reverse chronological order because the most recent 25 years were the ones in which I had direct involvement and personal memories. The stories of the first 50 years of Del Mar came from research involving two editions of “Del Mar, Its Life & Good Times,” by the late William Murray — a friend and supporter for more than two decades of my track coverage — plus historical articles in local newspapers and magazines. Del Mar has undergone considerable change in the 43 years since my first glimpse, including a complete razing and reconstruction of the grandstand. But I still get excited inside when I see it, whether it’s from the freeway or surface streets. I expect I always will. 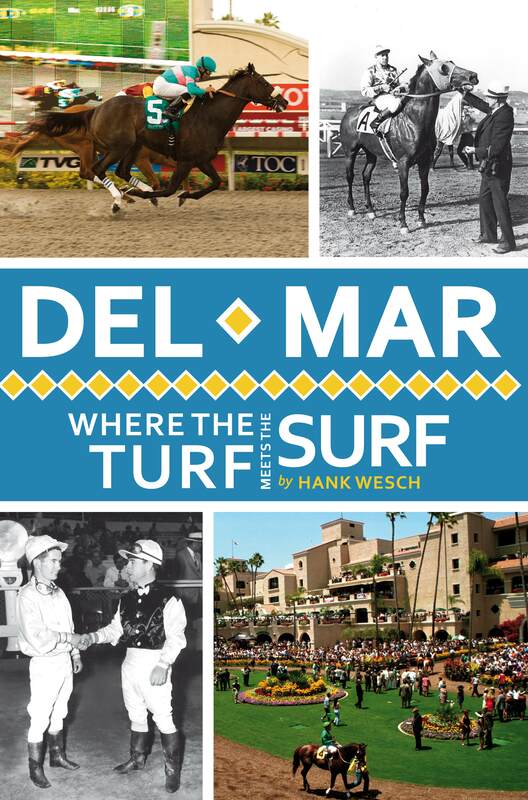 Hank Wesch will be answering questions about thoroughbred racing and signing copies of Del Mar: Where the Turf Meets the Surf at various San Diego author events in May. He will also be back at the track covering Del Mar’s summer meet this July. Related Posts: The History Press Announces First California Book, Interview with Hank Wesch, Del Mar Opener, Horse Lovers and Wagerers.